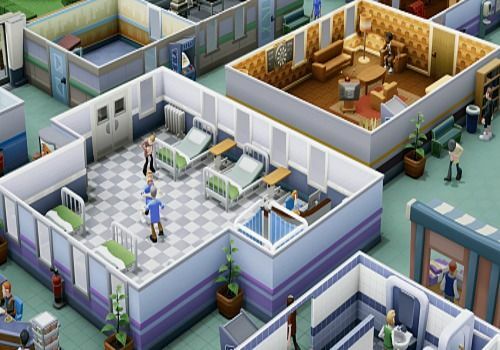 SEGA and Two Point Studios have joined forces to publish a hospital simulation game. Two Point County is hit by a strange epidemic that replaces the heads of the inhabitants with a light bulb. Various filamental diseases and other bulb infections are also spreading. Faced with these medical cases never before seen, Two Point County opened a hospital, the Clinic-De-Lux, in which doctors had to face its mysterious diseases and the ghosts of their patients. The first patient identified was Trevor who, after a mild cold, woke up with a blister instead of a head. Two Point Studios is specialized in management simulation games. Two Point Hospital combines hospital management and humour with infinite gameplay. The game will be available in 2018 on Steam.